Since the release of Stronghold in 2001, Firefly Studios have almost exclusively concerned themselves with the strategy subgenre that is castle-building and in this they’ve built up a reputation as kings among men. 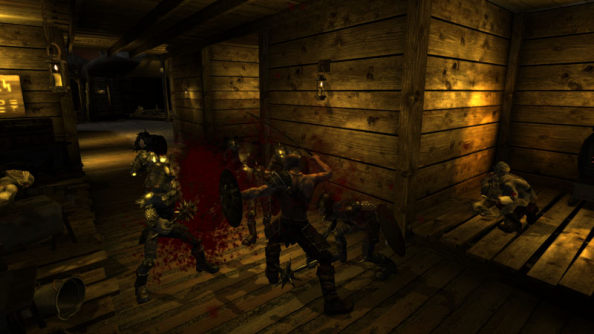 The Stronghold series spawned several sequels, grew a substantial and dedicated fanbase, and came full circle last year with the release of Stronghold HD, an updated version of the original game made for people with much larger monitors than mine. While the Stronghold series has been successful, Firefly have had their struggles. 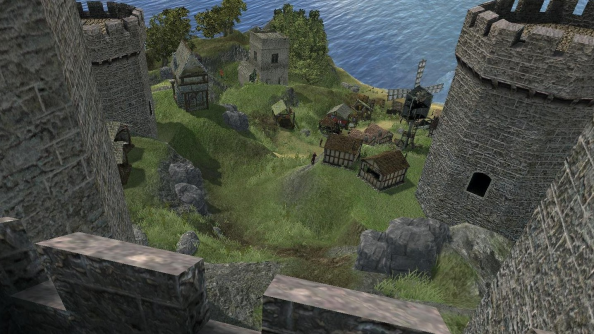 Stronghold 3, released in 2011, was broadly criticised for being a buggy, rushed released, the studio spent several months attempting to patch the game and address compatibility issues. But as 2013 begins, Firefly are an entirely independent developer, thanks in part to the success of the free-to-play Stronghold Kingdoms, and they’re looking ahead to their next project, Stronghold: Crusader 2. While they’re funding most of the development themselves, they hope to extend the final stages of development with a crowdfunding initiative. I spoke to Simon Bradbury and Nick Tannahill about how it feels to be independent, about this form of partial crowdfunding and about the possibility of resurrecting the abandoned Dungeon Hero. PCGN: How are you doing now that you’re really an indie studio now, I suppose? Simon Bradbury: Yeah, after years of being in the old publisher/developer model, with advances and milestones and which we’d done since 1999, we’ve finally transitioned. In 2009 we started moving onto Kingdoms, then in 2010 we started to bring some kind of money in, and now we’re kind of like a publisher as well, which is why we’ve got Nick here who’s marketing. In the past we left that to the grown-ups, but nowadays we have to do it ourselves. It’s been an interesting learning experience for us, but it’s a much more healthy situation for a developer because you’re getting your own cashflow on a regular basis rather than trying to go via a publisher who might not pay you on time. Or might not pay you. SB: Well, in the past, depending on what publisher you were at, publishers might cancel projects, or they’d go bust, or they would have their own money problems. You’re right down the bottom of the food chain really, as a developer. A lot of the time it’s fine, but it’s always in the back of your mind. Are we going to get the milestone money in this time? How late is it going to be? Having Kingdoms going gives us a good, regular cashflow, which is a) brilliant in the sense that it takes that worry away, but also b) enough to allow us to partially fund our own PC titles, the sort of stuff we’ve been doing for years. We’re definitely in a healthier state than we were, say, four years ago after the big crash meant Gamecock was no more and Dungeon Hero had to be canned. Luckily, we managed to carry on and we had just enough reserves to pull through. Like a lot of things, you come out of it being stronger. PCGN: Kingdoms was a very big part of that, then? At the time, that was surprising to some people, that you’d make a free-to-play game. SB: Kingdoms was certainly the thing that rescued us. We actually started thinking about it in 2006 because I think we decided then that, as the first titles like that were coming out, we thought it was an area we could go into. With Stronghold we’ve always looked for a niche: it’s a strategy game, it’s a different kind of strategy game, and we’ve never wanted to go in there and just make another kind of first-person shooter. I think we saw some interesting possibilities on the online titles for strategy games, because there’s always been a lot of people piling into those online RPGs, whether it’s the big games or the slightly more down-to-earth, Runescape-type approach. There were a lot of people in that field, but very few in the strategy area, so we thought if we start playing around with it in 2006, we might get somewhere later on. Four years later, we managed to go commercial with it. Nick Tannahill: It was especially interesting at that time, too. It’s going a long time ago in the free-to-play timeframe. It’s quite an early call to make. SB: When it came out it was a culmination of a long period of false starts. Our previous experience with the internet was with updating our website every six months, like every other developer. We had to completely change our tech skills, our design skills and learn about databases, rather than just iterating over a design idea. The design cycle is much slower and you’re designing something that plays over days, weeks months rather than hours, and it’s a lot harder to get your head around that sort of idea as well. PCGN: So did you envisage it as this new project that would bring in a new source of revenue, or did it turn to be an accidental boon? SB: I’d like to claim we all knew what we were doing. We liked the idea of the game and I think we’re a bit starry-eyed like that, because if we like the idea of a game, that’ll drive us and we know that if we like it, we’ll put a lot of energy into it. We were also hoping that it would then do well, and as luck would have it, it did. I think good ideas, given enough time and exposure, generally do well, and it helps that we put an awful lot of effort into it. PCGN: Do you think more studios are going to move to the kind of business model you have? Where we’ll see established, veteran developers, breaking away from publishers and realising they don’t need them any more? SB: I think so. I think you’d need to be established as I think it’s hard for a new developer, a one or two man band to go and do what we’re doing, say, with Kingdoms, because there’s quite a lot of work needed for it in terms of testing, support and marketing. You see it at E3, at Gamescom, the relentless march of free-to-play, like it or not. I can see it as an opportunity for medium sized to larger teams, particularly if you are medium-sized. A medium-sized team can be a bit more nimble. NT: If there’s a good idea that someone has in the morning, they can suggest it, turn it around and, in theory, it can be put up that very same day. It’s interesting to call us indie, because for a lot people the term “indie” means two or three people in bedrooms, but I think the definition is changing for what indie is. Our team is about thirty people right now, so it’s good that we can do this with a relatively small studio. PCGN: It’s a model that seems very plausible nowadays. If you’re someone like Firefly and people know what you do, they know the kind of games that you produce, you already have that reputation to sit on, people know what to expect from you. SB: I think so. When we first started Kingdoms and put it in alpha, we just went to a couple of fan sites and asked “Is anyone interested in being in the first closed alpha of this online, castle-building game?” to which we got a load of replies. Then we did an alpha 2.0 and an alpha 3.0 and grew it and grew it. We had a fan base of testers ready, but also people who would evangelise it. By the time we got to a commercial beta, there were a lot of people waiting to get in, which is a great way to start. NT: Yeah, it goes with what we were saying a second ago about something fit for an established developer rather than new guys, as we’ve got the community already there. SB: It helps to have a brand, to have a name. PCGN: That leads me on to what you are doing now, the next Crusader. How are you doing with that? Can you give us a release window you’re looking at? SB: Yeah, I think we’re looking at Q4 of 2013, that’s what we’re shooting for. We’re already working on it and we’re basing it on a lot of the work we did for Stronghold 3 which, when it came out, came out into a little bit of trouble. It was released a bit too early and it was a little bit out of our hands. It’s based upon that, but with the code fixed up and polished, which is now a good, solid base from which to carry on. 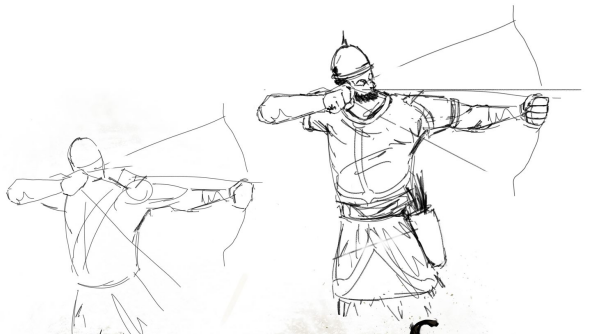 We’re adding in the new features of Crusader, kind of like we did with Crusader 1, where we took Stronghold 1 and then we worked another year on it, adding in skirmish play, which was quite a complex thing. That’s always been the thing with Crusader, the skirmish play, trying to mimic what a human multiplayer opponent would do: they’ll build a castle as you would, build an economy, they’ll send out troops to harass your economy, they’ll send out troops to harass your castle or defend their castle. They’ll come up and talk to you or taunt you. 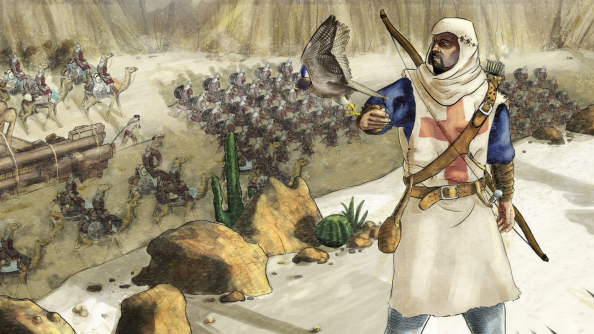 I think that’s what made Crusader 1 our best-loved, best-known game. We’ll avoid the pitfalls we ran into with Stronghold 3 because it’s already in a much more accomplished and stable state, but we want to make sure it’s super-polished this time around. So that everybody can see the game, we’re hoping to get a demo out so that people can try the game themselves first. A demo’s a great way to let people decide if they want it or not and we definitely want to do that this time around, so that we pull a little bit of our reputation back after the slightly ragged release of Stronghold 3. Whilst Kingdoms is giving us a good chunk of the money, what the crowdfunding model will let us do is buy that little bit of extra time, another three months of development time, which lets us put on that extra two or three per cent polish and which really makes the game something that will please everyone. Quite often you can get the game out there and it’s good, but that little bit of extra polish, those few extra months, the testing and interface tweaks really make it shine. PCGN: So you say crowdfunding will only take it through its final stages? How will that work? NT: Did you see the Kickstarter for Strike Suit Zero recently? That would be the closest thing to us. We do want to be absolutely crystal clear about why we’re asking for money and what it’s for. 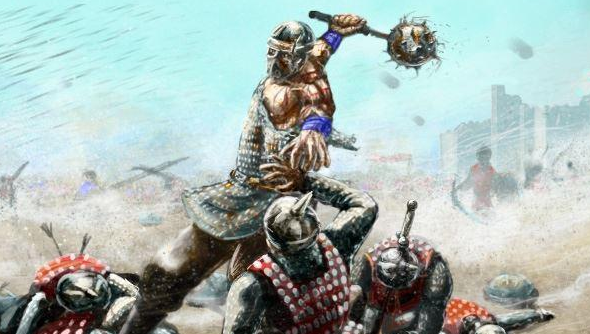 SB: Crusader 2 will happen [regardless]. The crowdfunding is really to give us the game that I think the fans will want and that we want to put out there, and so that we’re not in a rush to get it out on a date. We’re trying to escape that situation that we’ve had with titles in the past where you’ve got a publisher saying “Look, it’s coming out in this quarter, that’s when you’re contracted to deliver it.” With Stronghold 3 we were saying we’d happily carry on and take the hit on it, but no deal, the publishers wanted it out and so it had to come out, then we spent six months patching it. We’re going to start crowdfunding with a company called Gambitious. PCGN: You haven’t released a great deal of assets for the game, or things for players to go over. You have an official site for the game, but it’s very spartan. NT: We’re hoping to release a lot of content during the crowdfunding campaign. PCGN: But it’s using a similar engine to Stronghold 3? That was an attractive engine. SB: It is using a similar engine and visually I think it was nice. It took us, like I say, the six months after it came out for us to really nail down various compatibility issues as there were still rogue crashes in there. The engine itself will look good, it will look better actually. It’s going to look very smart indeed. What we’re having to do is make sure that it runs a lot faster. We’ve been hammering out a lot of AI and pathfinding issues, a lot of control issues as well, but yes, it will look as smart as that, I think, and certainly we can do a little bit more with effects and graphical niceties. 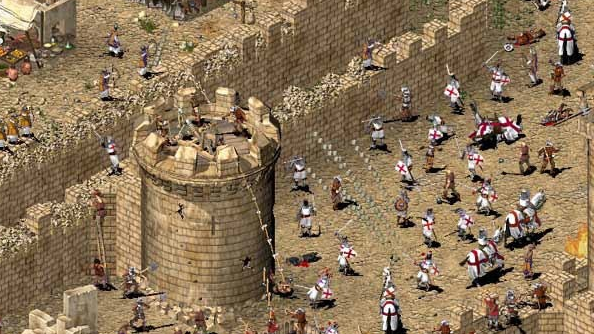 NT: I think it goes without saying that Crusader 2’s really going to benefit from the post-work, the months and months of post-work patching we did on Stronghold 3 because we’re so much more familiar with the engine and all the technical aspects of it. PCGN: Are you able to give us more of an idea of the new features, beyond castle-building and combat? SB: I think one of the key things is that Crusader is perhaps our most popular game, to the extent that we were able to release Crusader Extreme something like eight years after it and people are still making maps for it. What we need to do is not go “Right, it’s going to be a completely different game,” because that will then alien everybody. At its heart, it will be the same game, in the same way that Starcraft is still the same game. What we’ll do is look at areas that were deficient in Crusader and areas that can be improved upon, to make it a more rounded game. For example, there will be new units, we’ll look at some of the units that were weaker on the Arabic side, perhaps add in something that’s got a recharge power or something like that. A lot of interface and control stuff will happen, to give you a lot more battlefield command, because it’s a very fast-paced, “clicky” game for a Stronghold game and we want to give you more control. Some units will give buffs to other units and that’s an area we tread carefully on and we don’t want to go too crazy on that, but there will be a little bit of buffing of units. There’ll be new buildings and there’ll be a few other things, like with the engine we’ll be able to do a few more in-game effects. One of the things we were limited with in the original was an engine that looked very nice, but was very 2D, very matter-of-fact, whereas in the new engine we can bring in things like a sandstorm or a tornado, things that can look really good, but also mix it up a bit more. There’s a good range of effects, some of which will make things harder to see, things that will allow you to cloak units as you move in. They’re not huge, game-changing thing, but it’ll be a list of a hundred different things which, taken as a whole, will make a game more accomplished. We’re not promising it at the moment, but we are looking at some co-op modes as well. As you look at Crusader, you have to ask “What was cool? What wasn’t? Where can we extend it?” It wants to look prettier, it wants some exciting new units, there’s got to be some stuff there that says why I’m playing Crusader 2 and not replaying Crusader 1. There’s got to be a compelling case for it. 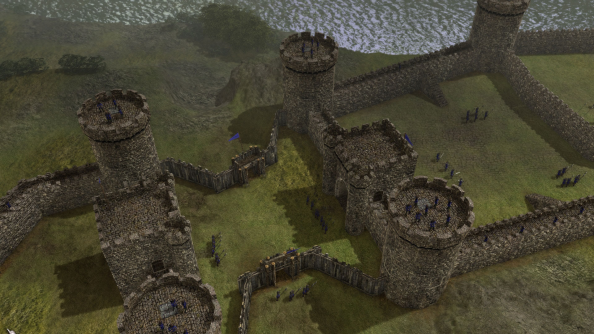 PCGN: Are you able to say how the Stronghold HD has done, which you released fairly recently? 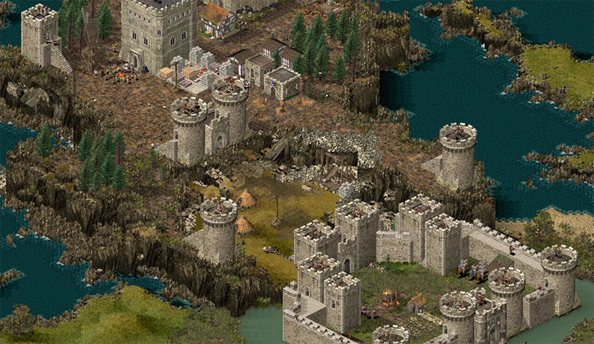 NT: Yes, we released Stronghold HD, Crusader HD and also Space Colony HD on GOG. [Stronghold]’s done really well and it’s given new life to the game. The game has a long tail in terms of people making maps and playing online, but it’s given it a new lease of life. I think on the first day that we released it, the YouTube trailer saw 50,000 views, which gave it a nice boost and which is very cool. Now that we’re a self-publishing dev we can really celebrate our own brands in the way that we want to. SB: It’s gone up on GOG, we’ve just negotiated to get it onto Steam. Stronghold is one of those things that people will carry on playing. Obviously they’re not at a full-price price point, which is as it should be, but for us this gives us a little bit of back catalogue income and keeps the brand out there and relevant. NT: It’s something that people requested quite a lot, too. It’s something that we’ve always wanted to do and now we have the freedom and the time to do it. SB: It’s twelve years since we released the first one, but we’re still updating it, we’ve done this a few times, actually. We’ve updated so it’ll run on various Windows versions. Strategy games tend to do this: if they get to a certain point, they tend to hang around. PCGN: Why do you think it’s had that ongoing appeal? And why aren’t more people making castle games like this? It seems to have a classic RTS formula: you build, you fight, you defend, but a castle is something a lot more exciting than a base in Command & Conquer. It’s more personal, you can shape it more. SB: I think that’s why it works, it’s about castle-building, it’s such a unique thing and no-one else does it. That’s why it’s successful, I think. I always think that we’ve managed to cyber-squad the castle-building space. PCGN: But why aren’t other people doing this? Clearly, it has its appeal. SB: You know, I really don’t know. Over the last decade we’ve looked at the announcements, like “New medieval game coming out,” and we go “Oh dear, let’s have a look at it,” and every single time there’s wizards, dragons. Immediately, it’s got a kind of sorcery aspect to it. 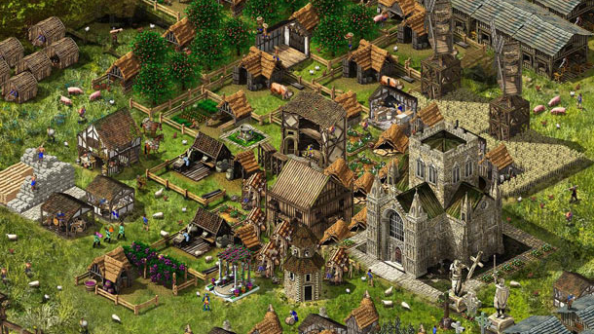 I think most American developers, frankly, view the medieval period as having that in it. The [fantasy] sub-genre has taken over the medieval genre, so the medieval period equals wizards and dragons. Maybe the developers think it’d be cooler or give more opportunities if it had flying dragons and spells, which is true, and games like that are great, but I think it’s harder to go with the discipline of keeping it more realistic. I think, in some ways, it’s that, it’s the fact we’ve always said we’ll keep it as steel and arrows. It’s a drier approach, but it’s one that means we keep it to ourselves. PCGN: Do you feel much of a desire to diversify, to go into other fields, or are you very happy doing the castle-building games that you do for the next twelve years, too? NT: Well, we enjoy it! SB: Exactly. A few of the people at Firefly have been around before that, previously working on the Caesar series of games. We worked on CivCity, which was fun, and that’s in our blood a little. We did have a bit of an aberration when we started on Dungeon Hero, but we’ve gone into other areas and we tend to come back to this. I can’t really see us wanting to do too much outside of the strategy area. We like building games. I like that considered type of game and it’s interesting that a lot of the growth areas recently in this industry, with the Zyngas and their like, has been in that area. I know they’re not really “proper” games, and we’ve played them to the extent that we need to understand them, but it’s interesting that a lot of people have been very successful making those casual games because it shows, I think, that it’s a human nature-type of thing. PCGN: I think there’s a broad appeal in making things, shaping things and then buffing them when you’ve made them shiny. PCGN: As for Dungeon Hero, I think we last heard things about that game about three years ago. Is that still something that may still see the light of day in some form or another? SB: I think so, in one form or another. I think that the idea was great and I still love it. We were really enjoying it up to the point that we stopped. That was classic credit crunch. Some billionaire somewhere fell over, which then affected someone else, which then affected our publisher, which then affected us. It had to stop because that was a very expensive game to be making. But we have a lot of fantastic assets, a lot of great story, a lot of great stuff built up, we’ve got some great ideas and I think, more than anything, I think the [concept] is something that we were very excited about and still are, which is that idea of the dungeon told from the opposite side. To compare to Dungeon Keeper isn’t quite fair to either game, but I loved that, mainly because it took a classic and turned it around, and I liked the idea of exploring that but perhaps in a slightly more adult way. It’s still very close to out hearts. We’re a lot more comfortable now than we were two years ago. We’re in a position where maybe we can look forward to a future that includes it.